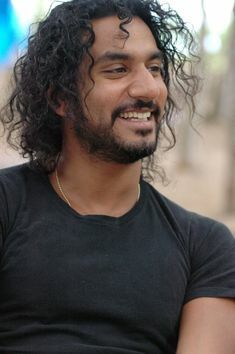 Naveen Andrews is a British actor, best known for his role as Sayid Jarrah in the ABC television series Lost, for which he was nominated for a Golden Globe in 2006, a Primetime Emmy Award in 2005 and received the Screen Actors Guild Award for Outstanding Performance by an Ensemble in a Drama Series in 2006. He portrayed the role of Kip Singh in the 1996 film The English Patient and Sanjay in the 2002 remake of Rollerball. Naveen’s other notable works include Sinbad, Easy, Once Upon a Time in Wonderland, Diana, Sense8, Bride and Prejudice, Provoked, The Brave One, Mighty Joe Young, Bombay Boys, and True Love and Chaos. Born Naveen William Sidney Andrews on January 17, 1969 in London, England, UK, to Nirmala, a psychologist, and Stanley Andrews, a businessman, his parents were Malayali Nasrani immigrants from Kerala, India. He attended the Guildhall School of Music and Drama. He was in a relationship with schoolteacher Geraldine Feakins from 1985 to 1991, and Barbara Hershey from 1998 to 2009. He has a son, Jaisal Andrews, with Geraldine Feakins; and a son, Naveen Joshua, with Czech-French actress Elena Eustache. *He was born on January 17, 1969 in London, England, UK. *He was voted Sexiest Survivalist in 2005 by People Magazine. *He was voted one of People magazine’s World’s Most Beautiful People in 2006. *He became a US citizen on 27 May 2010. *He is a fan of English football club Chelsea FC.